Whether you are new in the game or a seasoned campaigner, you would have noticed by now that Search Engine Optimization is by no means a walk in the park. Algorithm changes take place a multitude of times annually; 516 changes were made by Google in 2010 alone, and they’re just the ones they tell us about. As a result, staying on top of the game is quite a task for anyone, be it an individual or a team. A lot of consultants in the industry, whether it be by direct implementation or through a series of experiments, have dabbled in the art of tactical play to try and “game the algorithm” to their advantage in some way or the other. One example of this is ‘link building’ – the practice of increasing the quantity of inbound links to any given site. Because one part of the search engine algorithm looks at the quality and quantity of inbound links to a site, if we compare two sites, A and B, we can better ascertain quality, relevance and rank based (not solely) on these inbound links. 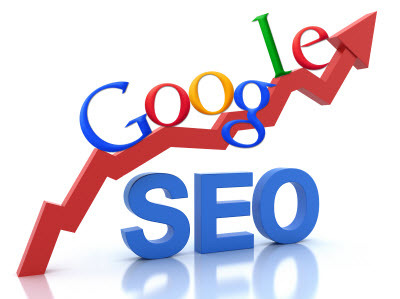 So the logical progression would be to acquire as many links as possible to help increase search engine visibility. For a while, this approach worked. People did anything they could to source inbound links and were rewarded with high rankings. However, this is no longer the case. It’s 2012 and search engines are quite sophisticated. Link building, along with a host of other old SEO techniques, no longer cut the mustard, and as a result, those of us in the SEO community had to change. In retrospect, search engines’ stance against these methods shouldn’t have taken us by surprise. 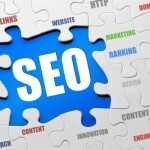 Google, especially, has always espoused a philosophy that runs counter to shady SEO tactics. The difference is that now, with their more intelligent algorithm, they have the tools to enforce their philosophy. To see how Google’s core message has stayed the same, you need to examine their mission statements, comparing the one from when they started out to the one they use now. The internet has grown to colossal proportions – we’re talking trillions of pages – and the quantity of low-quality websites has increased. To maintain quality and to be able to “organize the world’s information and make it useful”, over time, Google had to implement certain measures. 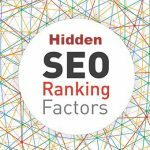 Let’s have a look at the major changes and how they have influenced SEO. Caffeine, a Google algo update in mid-2010, changed the landscape in that results in the index began to be delivered in real-time (almost). Previously there was some lag and results were being cached. Caffeine went some way towards getting around the problem. These days, to Google’s credit, they’re doing a pretty good job delivering “relevant” results on the fly. Though it’s by no means perfect, it is one of the best indices (not to mention the most widely used). When combined with the “Query Deserves Freshness” rule – one that ensures the latest results for specific searches – it is possible, for some searches, to achieve real time results. 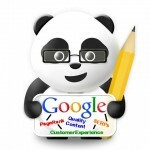 When released, Panda demoted low-quality/thin websites, so that sites that did provide quality were promoted. Things that were previously used in the algorithm, such as PageRank, were downgraded in terms of importance, whilst other ranking factors from real-world conditions were introduced. The idea behind the change was to reward trustworthy sites, rather than pages merely padded for SEO purposes. The Penguin update arrived and penalized websites that employed black-hat methods to boost their search engine rankings in direct breach of Google’s Webmaster Guidelines. Google launched their war against spam. As a result some sites got knocked out completely from the index. However as Greg said “once you get back in your rank right where you did before, so it’s not like the links are really counting”. These changes are just the tip of the iceberg! Since Google’s beginnings, they’ve also introduced a wide range of products, are constantly making user interface changes and are tracking user behavior. Content marketing seems to be where the paradigm shift has started to focus in our community but it’s almost something of a misnomer. In actual fact, you shouldn’t need to “market” your content much. Instead, you need to produce your content for your audience. So the importance is still placed on building an audience; only then can the content do the legwork for you. With good content, you’ll earn links through your audience. Link earning is how it’s done in the real world – you can’t open a shop, fill it with fake testimonials and hope to succeed. You need to deliver. With their updates, Google are trying to reflect this online. The important thing for businesses to understand is that they need apply a degree of high importance to setting up a content strategy. A solid content strategy creates a framework for the business and those involved in the content production process. It helps to align business units with a core statement results in consistent content and sets the scene for governance and workflow. It will also help to plan everything from gaining an audience to defining distribution channels. It’s not just about good content; websites also need to be built right with a solid technical foundation. This means getting it to a stage where there are no broken internal and external links, minimal redirects, no duplicate titles or content and each page is set up with a unique theme. There should also be Open Graph tags and Twitter Cards to aid with visibility when sharing through social media. Schema.org is a great way to organize and structure data. 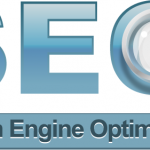 So, how do you do SEO in 2013? There is no single “quick win” that will keep your business afloat. Stick to your guns, be transparent, have some fun, get creative and be passionate about what you do. And then reflect all of that online – anywhere on the web your business has a presence! Establish an online audience and build your community up. Keep consistent with your brand’s personality or voice at all touch points. In this day and age, with so much choice and commoditization out there, customers are not as loyal as they used to be; so it’s important to be memorable everywhere. Do SEO the same way it’s always been done without employing short-term tactics that try too “game the algo”. Sure, some of the tactics will still work for certain categories and may continue to work for some time, but I think the focus needs to shift to establishing an overall long-term strategy. I don’t know about you, but we are here for the long haul! 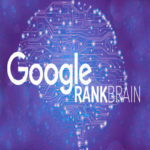 How Does RankBrain Work And What Does Mean For Search Marketers? Sathishkumar Varatharajan is a blogger, Internet Marketer and a web enthusiast from Salem, Tamil Nadu, India. He launched Kudo Metrics, in an effort to help all the small and medium sized businesses to achieve their targets and increase their profits. You can connect with him at @sathishkumaratr! Subscribe to get useful and innovative Internet Marketing tips delivered directly to your email inbox! What Is Web Content Writing? What is SEO Content Writing and How Does it Help SEO? Why Organic Traffic is Important for a Website?